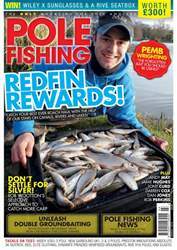 Stars don't come any bigger than those who represent their country and in the May issue of your favourite fishing read, we have no fewer than eight England internationals relaying their biggest and best angling tips. 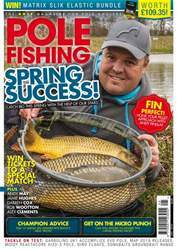 In the first part of a brand-new series that is exclusive to Pole Fishing, England’s best angler, Des Shipp, tells you what he’s been up to and talks you through his results and findings from the past month. 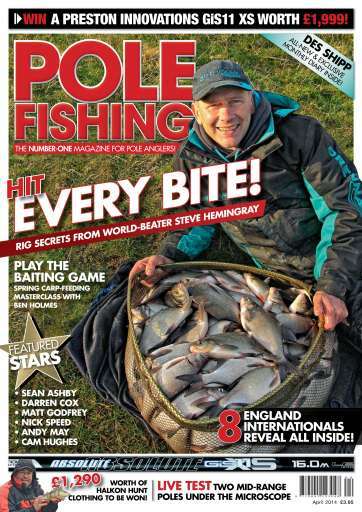 Meanwhile, world No2 Steve Hemingray unveils his deadly approach for catching stillwater skimmers, uncovering a rig that is sure to put more fish in your net. 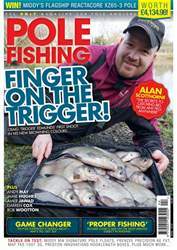 Do you ever target carp with maggots? After seeing what Tony Curd has up his sleeve with these simple grubs, you’ll have to give them a go! On top of that, we join Andy May as he visits one of the UK's oldest commercial fisheries. Plus, receive a chub-bagging masterclass from none other than Nick Speed. 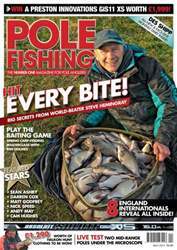 Poles tested include the acclaimed Preston GiS 11 XS and Maver's Enigma 1, in a new format that sees the Pole Fishing team go head to head! For all this and more, download the issue now!